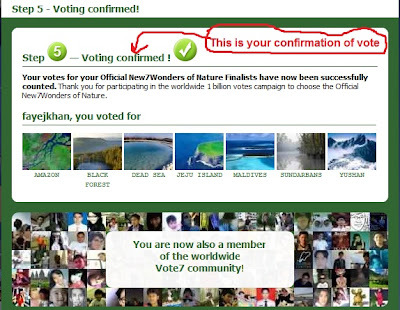 Lets go to vote Sundarban for New7Woders. 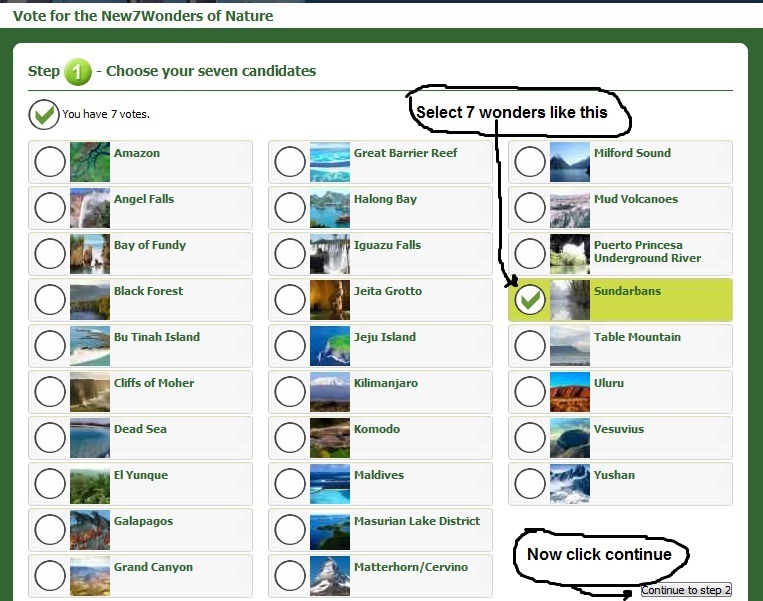 do you know how to vote for new7wonders? i will learn you how to vote for new7wonders. 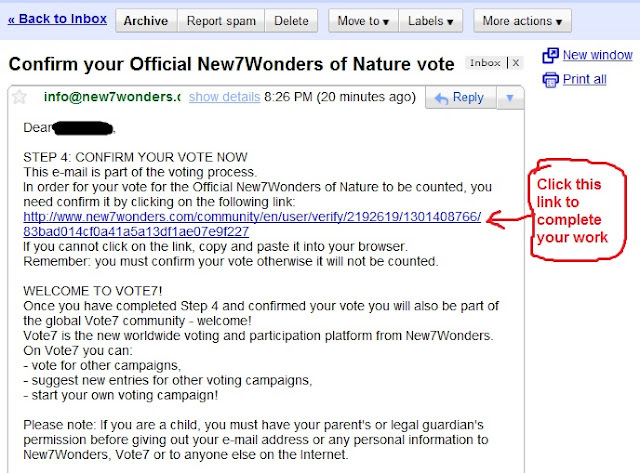 1. at first you have to have an email address to vote in new7wonders. 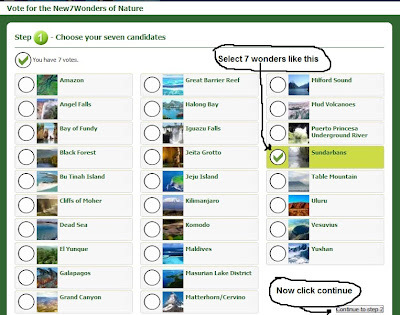 2. now visit new7wonders.com for participating in voting. 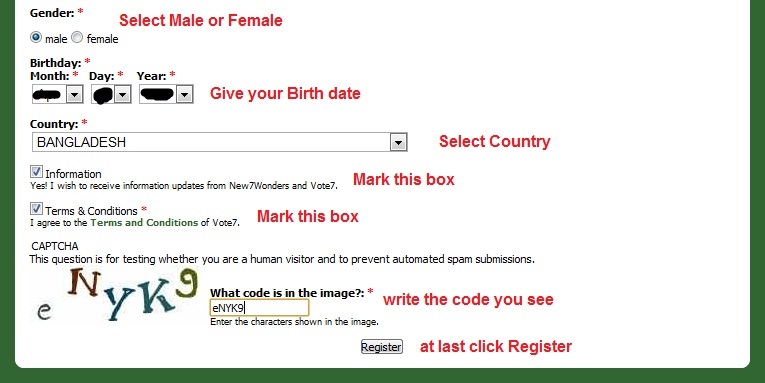 5. after selecting 7 place now click Continue to step2. u see in the picture above. 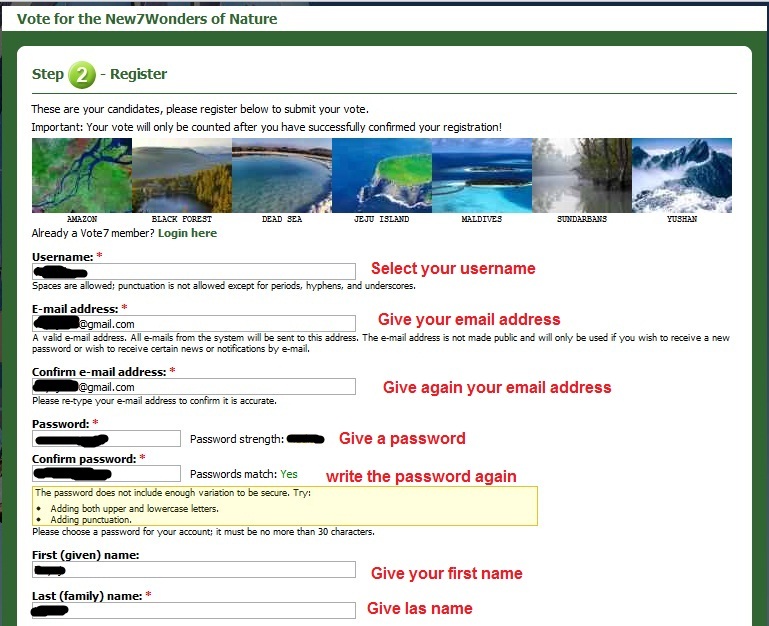 6. now you have to register to this site.for this work you will be provided a registration form .just take a look in the following picture. 8. 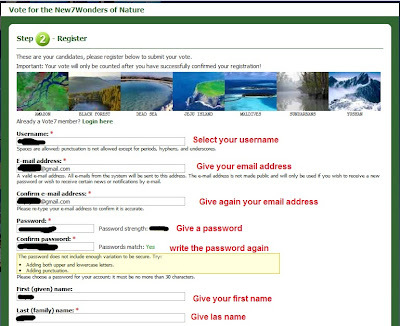 Now you have to log in to you you email.you just read the notification i marked in the above picture.Cause they will send a link to your email for confirm your vote.if you don't click the link your vote will not be counted. 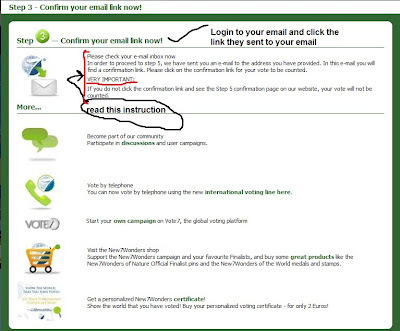 9.now you will see the email and the link like the following picture. 10. 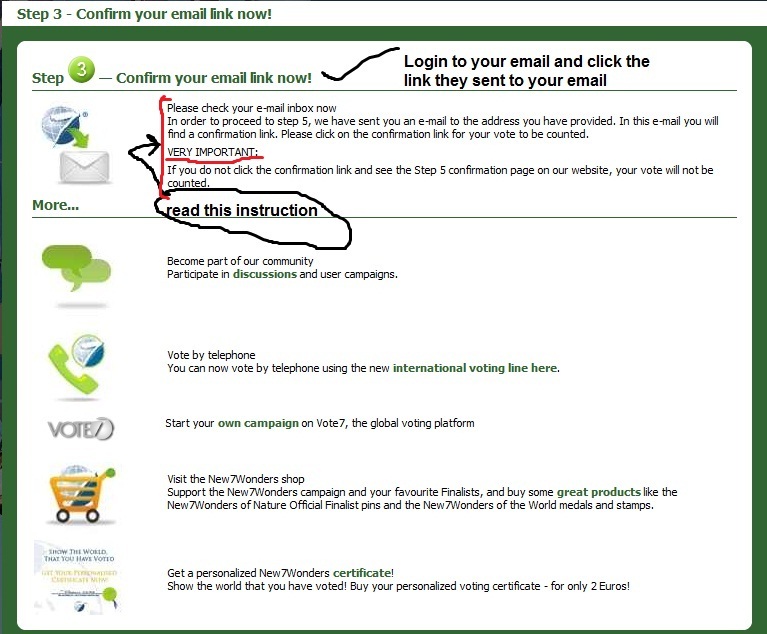 After clicking the link you will be confirmed that your vote has been completed.lets just take a look following picture. 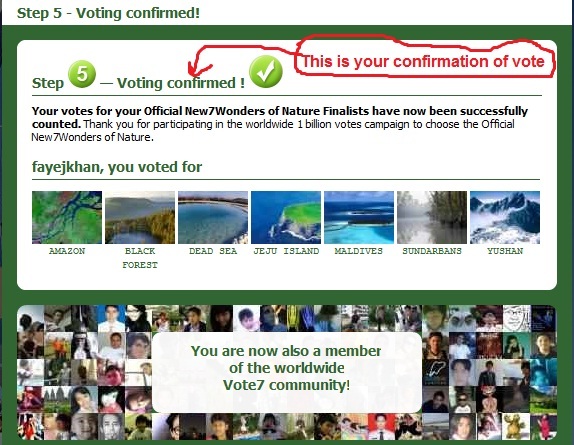 Congrats.your effort has been completed with success.